Honey is a playful and modular wall panel that can be varied to form different patterns in different colours, with or without textile. Honey is available in three thicknesses — 20mm, 40 mm and 50 mm. All panels have good sound absorbing properties. Honey is manufactured with a straight edge and comes with velour backing for easy mounting with Velcro. 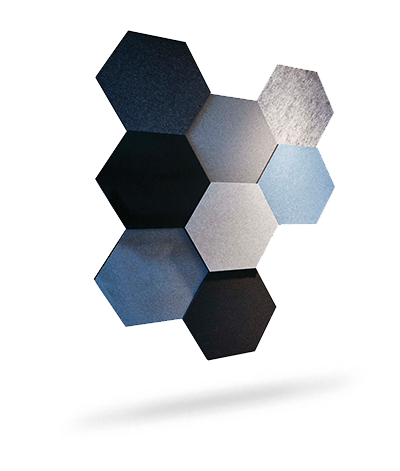 The sound absorbent is made from our unique core material EcoSUND.